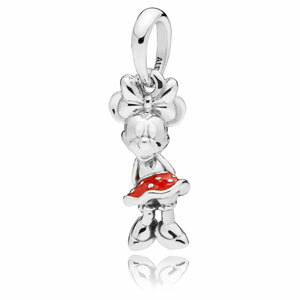 Take your style cues from Minnie Mouse with this sterling silver pendant. The expertly crafted piece, hand-finished from sterling silver, is shaped as the iconic mouse and comes complete with her signature polka-dot skirt in vibrant red enamel. Let her sway with style on bracelets and necklaces.